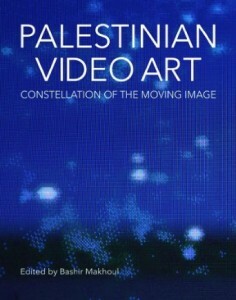 A new book focusing on Palestinian artists’ video, edited by Bashir Makhoul and published by Palestinian Art Court- al Hoash, 2013, is now available, which includes my chapter, “Location & Dislocation, Site & Architecture: Video Installation by Palestinian Video Artists” as well as contributions by Jonathan Harris, Sean Cubitt, Laura U. Marks, Tina Sherwell and Ryan Bishop. Further info.